While wiener vendors at a sausage festival are unlikely to enjoy the heavy rain we saw at the end of last week, weaner vendors in Western Victoria would have rejoiced at the blue, yellow and even purple on the radar. 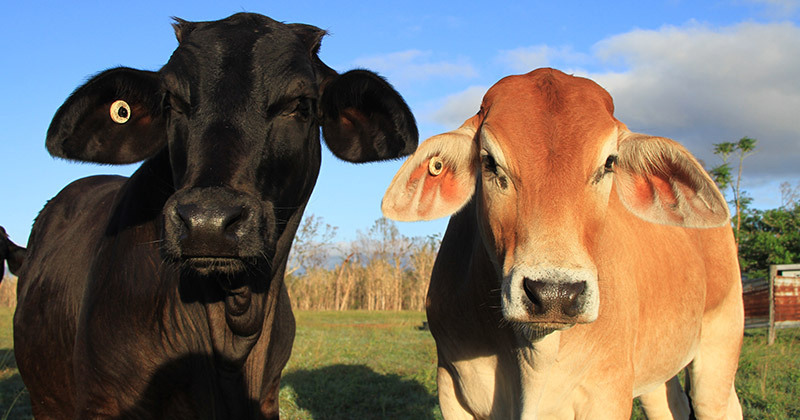 Prices for weaners have been at four year lows in December, but things may change by January. Since last January we’ve seen pasture conditions deteriorate and grain prices rise, neither of which are good for young cattle prices. Over the last week we’ve seen rain ranging from light to flooding across the east coast. Despite the rain many key cattle areas in northern NSW and southern Queensland still need another 25-100mm to reach their December average (figure 1). The drought has not broken yet. Readers who have been with us for a few years will know we have a couple of measures of value in young cattle markets. Looking at the absolute price is obviously what vendors are interested in, as it drives their bottom line. For buyers the values is determined by how much money can be made out of backgrounding or growing out cattle. The margin in backgrounding fits well with looking value in terms of price of weaners relative to the Eastern Young Cattle Indicator (EYCI). This spread gives a good idea of restocker demand relative to the young cattle market as a whole, or compared to feeder and processor demand. Figure 2 shows the average price of weaners at the January sales and the EYCI over the past 18 years. For 2019 we have estimated a price based on recent store sales, with weaner steers coming in at around 310¢/kg lwt. If markets are steady in January, a 9.5% weaner steer premium over the EYCI will make them the cheapest weaners in 3 years, and around the average premium. Returns from backgrouding or growing steers out to Heavy Steers could be described as good to very good based on a conservative price projection. There was a time when $200 was an acceptable gross margin for backgrounders, and this should be achieved under a worst case scenario. It seems lotfeeders and backgrounders have become quite comfortable with export feeder prices around 300¢/kg lwt. If weaners sell for 310¢, there is a historically good gross margin in growing them out and selling at 300¢. Figure 4 shows the projected margin (red line) is similar to last year, and right on the 18 year average. There is plenty of room for upside in the margin, and downside seems limited. This means weaner price could feasibly be 10% higher, and those with a positive outlook on feeder values could still justify purchasing. If we see more rain over the coming fortnight this scenario might play out, boosting vendors coffers. Recent rain should boost confidence in northern cattle areas, but more needs to come. December weaner steer price seems to be around average value relative to the EYCI and potential gross margins. There is room for weaner prices to rise 10% if more rain falls and demand improves.